Interviewer LuCiqNo posed the question of OG's results with Resolut1on, saying that although the Ukranian was hot property after TI7, that OG unfortunately did not turn into the "dream team" many expected with him in the team. 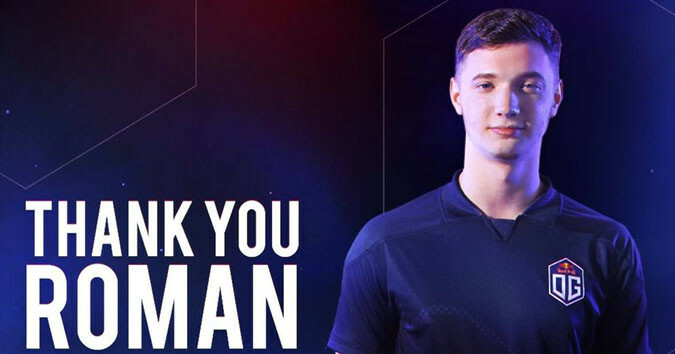 "We had a good time with Resolut1on, overall he is a very enjoyable person to have on your team, because he's very professional. In terms of gameplay, much like with any player there were some disagreements on how the team should play. He was an easy guy to work with, but we just didn't click with him in-game." "Resolut1on has a very specific way he likes to play, which revolves around his team adapting to what he's doing, and we just had some trouble understanding how he was approaching the game. We just reached a point where we realised it's not working at all, and to make it work would require him to completely change the way he plays, and that made no sense because he's a really good player. We tried for 7 or 8 months and we just didn't gel. (...) We were just missing something." 7ckngMad went on to say that the fact they would forfeit their DPC Points and go via Open Qualifiers was an afterthought, and that the crucial reason behind the change was the fact that all the members of the team agreed this was not a roster that could go on to become the best in the world, and that the need for a change was unanimous, with Resolut1on also on board that the team was not working out. 7ckngmad said the decision for him to replace Resolut1on came as a surprise to him, and that in his opinion Fly was waiting and hoping a top mid player would become available ahead of TI8. Although no such player did become available, 7ckngMad said he would have been willing to move back to coaching without a hesitation. "My goal has always been to put OG back on track, back to winning Majors and then maybe even winning a TI. If a better player had become available and they needed me to go back to coaching, I would have done it immediately. (...) My priority has been how can I bring value to the team, whether it's me playing or Resolut1on, I'm fine to say it would work better with me. But if for example there was another option, who is better player than me but a worse coach, I'd retire to coaching. For me the most important is making the team the best it can be." "Honestly nobody saw it coming, and they made the decision with asking anyone else. They really put us with our back to the wall because we had to leave for the Super Major the next day at 8 or 8am in the morning, and we learn at 9pm that they're leaving. "The manner in which it was done, I can be transparent about. EG decided after their bad results at the Birmingham Major that they were going to make changes to their team, and they decided they were going to poach players from other teams. 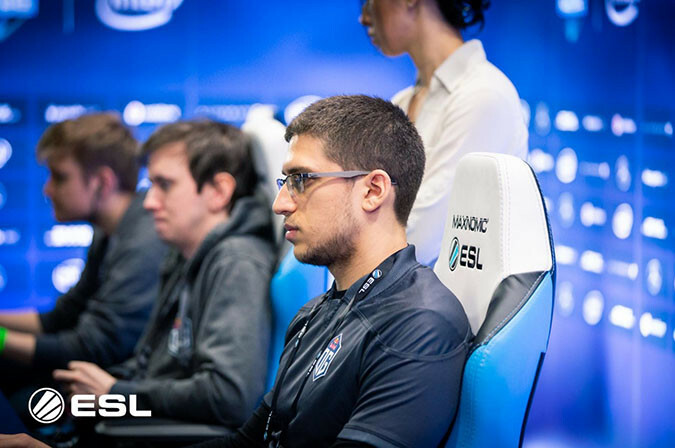 "They (EG) went through plenty of options I believe, they were desperate, and I think it says a lot about the kind of team EG is, because there were plenty of different options, and in my opinion there were also options where Arteezy and SumaiL were not going to continue playing together. "They all just wanted to save their own skin, they are those type of players with this mentality. You take all the cards, the castle of cards, you destroy everything and then see what you can save from it. All the cards will fall and you see what you can catch and save." 7CkngMad went on to say that initially EG were going to kick Misery and keep Fear in order to bring in S4, but Fly approached them about the option of also joining the team. As a result EG made room for Fly by kicking Fear to get a double roster change. 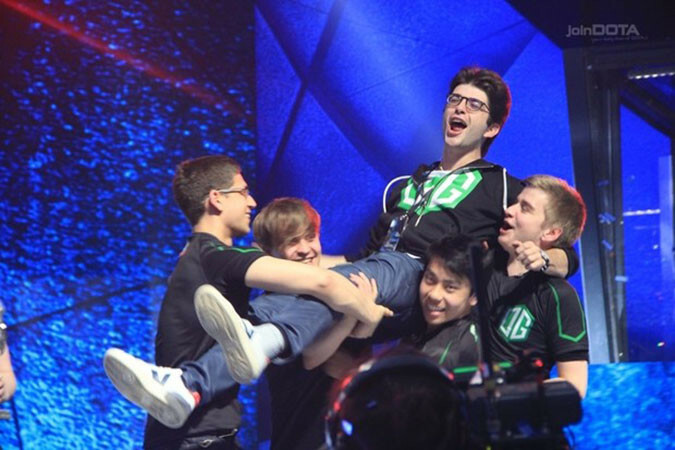 According to the Frenchman it was S4 who was initially wanted in EG and Fly followed, more than the other way around. The decision however, left OG 2 players down with TI8 Regionals just around the corner. The Frenchman went on to say that it was really the "worst situation" he's even endured in his Dota career. Although OG did recover to reach TI via the EU Regional Qualifiers. "We took some time to take in what had happened. We had to think 'do we want to continue? ', but we quickly realised we were all ultra-motivated to continue because their departure, the way in which it happened, was really unfortunate. 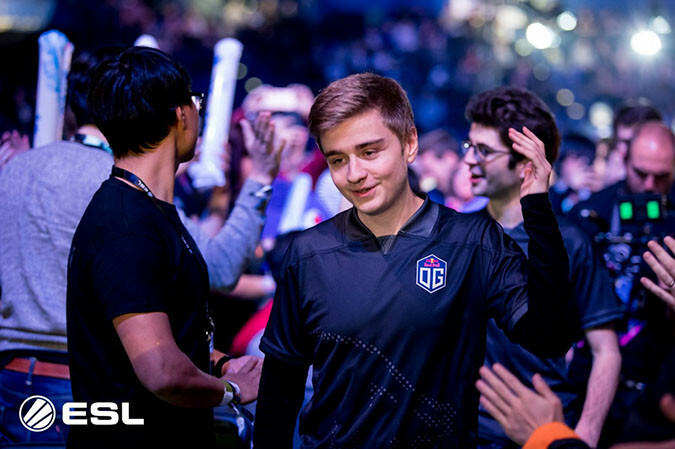 For it was a real lesson, but from a sporting point of view, from a dota point of view, we were all relieved the two of them went, because it gave us motivation to keep playing and to bounce back." One mini-drama that happened during OG's hunt for new players was with Alliance, where an approach to one of their players was not met well by Jonathan 'Loda' Berg, who called out OG on Twitter for trying to poach a player under contract. "We really took time to look at plays from loads of different players we considered really good. (...) One of the players I considered really good was MicKe, and I just contacted him, not to offer him a place on OG but to see if he was happy where he was, and if there was a potential if OG approached him that he would be interested. There were some players who just said 'no, I'm with this team it's going well' or others who just said 'no sorry doesn't interest me'. If the player replied 'yes, I'm potentially interested', that's when you contact the sponsor or the person in charge and say 'look this is a possible offer that interests both parties, is it feasible or is not feasible?'. "For me the second Loda heard I contacted MicKe then he turned it into an enormous drama, you could die of laughter from, he tagged everyone on Twitter, even Monster. He was close to tagging the president of Sweden and France too. It was funny, had us laughing for the afternoon." "Ana was always in our minds. Topson was too, it was just a case of seeing whether he was ready, more than whether we ready to play with him. We always want to play with Ana, because we were all already close with him, we had success together and he is an exceptional player. The idea of Ana coming back always pleased me. How things went he had a whole year to reflect on what he could have done better the season before. He didn't play on teams with awful results but he still worked a lot. It had a year free that challenged his motivation and his capacity to invest himself into Dota, and it showed he still wanted to. Ana it just made sense." "About Topson, I'm a player who plays a lot of pubs, and I get to know all the rising players on the European and Russian servers. Topson I knew very well, but had to think whether Ana and Topson would work well together, and other considerations, but in terms of synergy we realised it was going to work. "For me Topson is a player that brings things quite unique to a team, and it was exactly what we were missing. Topson was a perfect option, and I think he is a player with incredible potential, and he has a way to play the game that I really enjoy watching. It's just a pleasure to play with Ana and Topson." Translation done from French by myself with a little help from @MezianeDoto, original video can be found here. For reference the original interview was done in a very casual manner with 7CkngMad, LuciQno and Sockschka clearly good friends.